The waterways have been changing but not always for the best; more places are having ‘no mooring’ or reduced mooring time signs slapped on them. There has been an ever increasing nibbling away of mooring spaces. 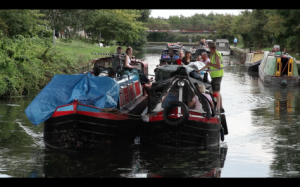 Yet Canal & River Trust (CRT) has more plans for mooring restrictions, more ‘no mooring’ signs, more business moorings and the ever pushing flow for waterways to be a place for profit not people. We as people who live on the waterways shouldn’t let places where we can moor be whittled away by wave after wave of towpath grabs. We must act together as a barrier to stop the waterways changing into nothing more than a business park for profiteers. Therefore, we in the NBTA London, as part of the 10th anniversary of the NBTA, are organising two events which will make our message heard by both the public and at CRT London HQ. 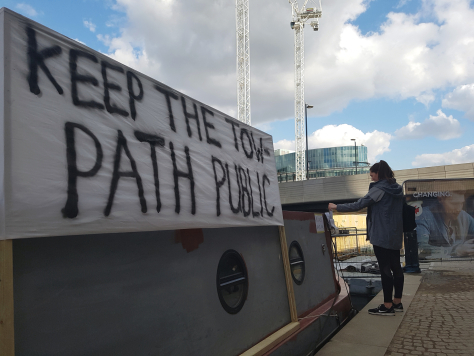 We will be bringing our boats to Paddington, a place which has seen years of towpath being given to big businesses such as multi-billion tax avoiding ‘British Land’. On Friday 24th of May we will meet at 1pm for music and a rally and then march to CRT offices in Little Venice for CRT to hear us, handing out leaflets to the public as we go. Then on Saturday 25th May starting at 12 noon we shall be holding our Paddington Party and Rally which will include activities for children as well. 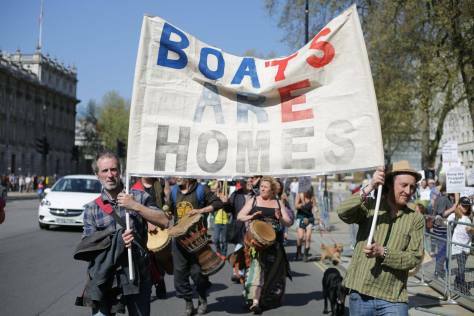 We shall attach banners to our boats and form a flotilla, letting the press and public know that boats are homes and we will not let the waterways be taken. Come along, bring your boat if you can. All are welcome to join in!